When adults teach children about manners, they might remind them to say ‘please’ by prompting, ‘What’s the magic word?’ This is our introduction to ‘please’ — as the gateway to getting anything we want, whenever we want it. But by the time we reach adulthood and better understand politeness, the word loses a bit of its luster, no longer a mystical source of instant gratification. In the realm of health care and chronic disease management, the word ‘please’ has its limits (although politeness always has its place, of course). No matter how kindly patients ask, how well they are recovering or responding to treatment takes priority over less urgent quality-of-life concerns like lost appetite, insomnia, or unpleasant side effects. What many patients coping with serious disease don’t realize, however, is that there is a magic word to get them the assistance they need, and that is ‘palliative care.’ Read on to learn how palliative care works in tandem with a patient’s existing treatment, but brings comfort and support within reach — you just need to ask. A physician diagnoses an illness, and then does what is necessary to reverse its course or slow its progression. This type of patient care, known as curative care, is what we are most accustomed to: we go to the doctor with the expectation that we’ll get better. And in the case of a lesser malady, the positive outcome is enough — even if a prescription gives us nausea, we can live with it for just a few days, and be as good as new before we know it. In cases of chronic and/or life-threatening illnesses, however, curative care alone may not address all of a patient’s challenges. This is because the focus of curative care is on helping the body to heal, or at least stop declining; symptoms such as dangerous fluid retention or insufficient oxygen intake are the most immediate concerns. Less perilous effects — for example, pain, difficulty eating, or stress — don’t necessarily take top priority, but these can nevertheless impair a patient’s energy, abilities, and outlook. The support offered by hospice care is becoming widely recognized, but this level of care is specific to end-of-life, and its aim is to provide patients and loved ones with comfort, dignity, and companionship during that difficult time. 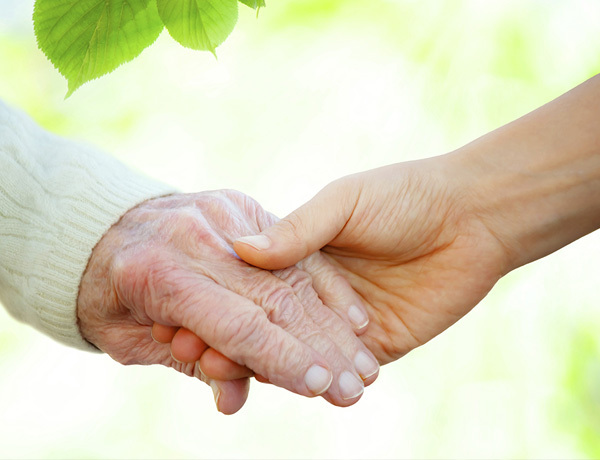 In fact, there are strict requirements that must be met to qualify for hospice care. Managing pain and other immediate symptoms becomes the primary clinical focus, as the care team works with the patient and caregivers to make emotional and practical preparations for the end of life. If hospice care sounds right for you or your loved one, call 866-902-4000. For patients looking to add comfort measures to their curative regimen, adding palliative care to their existing treatment program can bridge the two approaches. This level of care can be undertaken right alongside curative treatment, helping patients to actively treat their illnesses, but with added support intended to address their immediate symptoms and day-to-day concerns. Palliative care takes a holistic approach to improving quality of life, which can include managing pain, combating side effects, assessing and amending the patient’s environment, and offering emotional support and caregiver education. Patients receiving this level of care can just ask, and will find their palliative clinicians are ready and receptive to their needs. What’s more, these services are covered 100% by Medicare for qualified patients. More and more hospitals are establishing dedicated palliative care teams. However, some in-home programs, such as Comfort Path by Residential Home Health, bring the benefits of palliative care into the patient’s home. But anywhere a patient is living with a serious illness, if they have pain or other troubling symptoms, it helps to know they can receive the attention and personalized care needed to maximize their comfort. It all starts with the magic word: ‘palliative care.’ Call (888)930-WELL (9355) if you are interested in Residential Home Health’s palliative program, Comfort Path, or to learn about home health care services that can help in your specific situation.